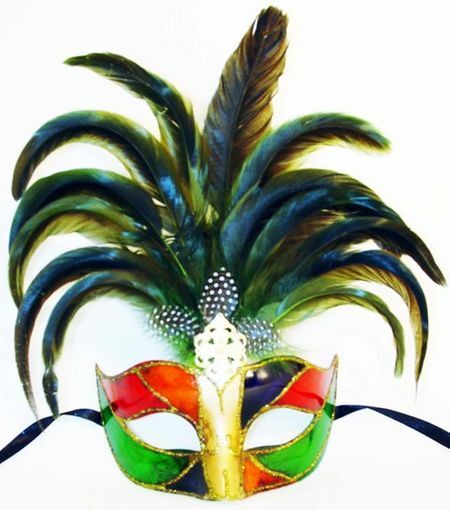 Make an entrance at your event with this masquerade feather mask! It is made out of the traditional venetian paper mache, hand painted in mardi gras colors. Has ribbon ties for easy wear.